Laying drywall is an extremely complicated process that can be considered an art rather than a skill. It requires you to tape the drywall seams and cover the tape with drywall mud. Because the mud would be visible after painting the wall, you must then blend the mud with the rest of the drywall. In this process, you will also have to texture the drywall so that it is uniform, an effort that requires a great deal of experience and expertise. If you didn't do it right, though, you can use techniques to cover up the bad drywall texturing. Drywalling can be complicated to perform perfectly. Creating a variety of effects on your walls will help distract guests from noticing the bad drywall texturing on your walls. One particularly interesting technique involves giving your walls the appearance of a texture. These faux techniques create walls that appear to be covered such materials as leather, plaster or sand. Depending on the look you are going for, you can create a perceived imperfect surface that will distract from the uneven drywall. Glossy paint reflects light in a room very well. If your walls are smooth and even, light will reflect perfectly off of them, meaning that no one will see any flaws. If the walls are uneven, however, the light will bounce off of the glossy walls differently in various areas, making the uneven walls more noticeable. To avoid this effect, use flat paint to help cover up the bad texturing as it doesn't reflect as much light. You will still be able to see the unevenness, but it will be less noticeable. Sometimes the bad drywall texturing is most noticeable only in a small portion of the wall. If this is the case with your wall, cover the area with wall art, such as a painting or wall sculpture. Hang a series of paintings on the wall if the area is very large. Alternatively, hang a large tapestry or very large canvas on the wall to cover a significant amount of bad texturing. Repairing poor drywall texturing can be time-consuming but it is possible. The steps include sanding the entire wall completely, removing the drywall seams and reapplying mud to the area. 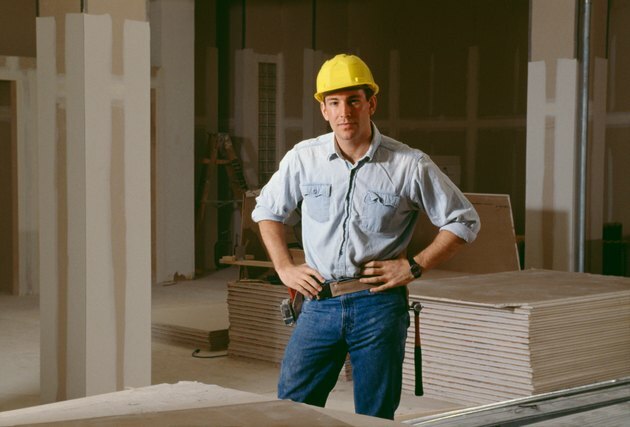 To avoid a repeat of your poor texturing experience, hire an experienced drywall technician to apply the drywall. Drywall dust is very fine and pervasive, so always remove your furniture from the room before attempting the remodel.